This is, therefore, by no means a definitive list of everywhere you should eat… but it is, in my humble (and well-fed) opinion, the best vegan food Berlin has to offer. So read on, drool, book your flight to Berlin, and feast to your heart’s content. This article was produced as part of the Two Vegans One Country project in collaboration with my friend and fellow vegan travel blogger Randi of Just a Pack and Veggie Visa. We spent all of October traveling around Germany by train and eating absolutely everything vegan that came our way, our trusty GoEuro app in hand (honestly, why spend time trying to make sense of the DB website when GoEuro has everything laid out in English for you and the prices are the same. Stay tune for more! Okay, back to business. Feeling hungry? I know I am.Vegan Berlin, here goes. In a small shop in Neukolln, opposite the canal, a small part of the American dream lives on with this classic treat which has been oh-so-deliciously veganized. If the song “Oh I went downtown and walked around the block/I walked right into the donut shop…” was part of your childhood, then Brammibal’s will be a sugary sweet heaven for you. Not only are their donuts hands down the best in Berlin (or, might I even say, in Europe) but they’re also wildly creative with their flavors. 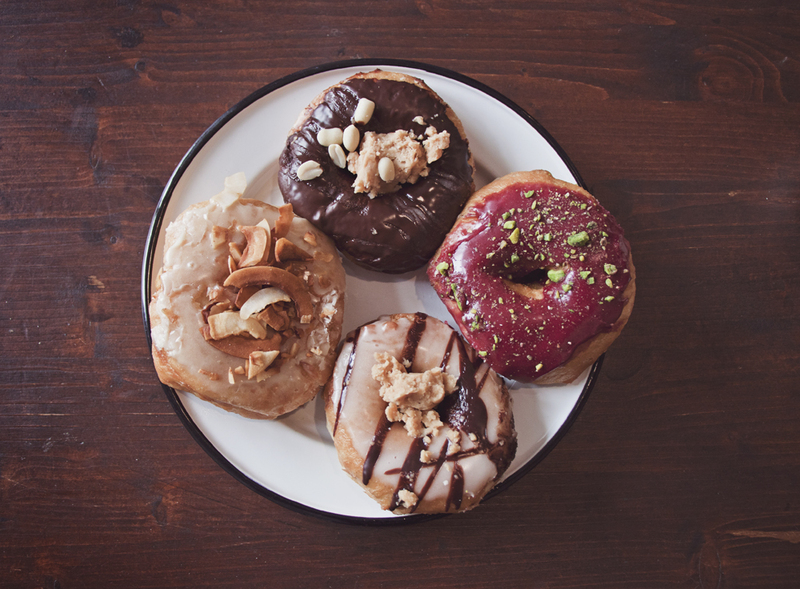 Try the cranberry pistachio, coffee sesame, lavender… whichever you pick, it’s sure to be the first of many more. Something you that may surprise you about Berlin is that there’s a large Vietnamese community, mostly contained within a suburb dubbed as ‘little Hanoi’. The Vietnamese currently living in Berlin are the result of two influxes into the city – the first in the 70s, fleeing the Vietnamese War, and the second influx arrived during East Berlin’s communist days as contract workers, who were then contained in communities. After the wall fell, many integrated and learned German, and started their own businesses. Can you see where I’m going with this? AMAZING Vietnamese food, many of which are vegan. Pho fo’ days. It’s the dream. Of all of those, 1990 Vegan Living is the one I consider to be the best. If you haven’t heard of him, Attila Hildman helped to bring veganism to Germany with his German language vegan cookbook which can be found in many restaurant bookshelves. As you might expect from the delicious pictures in his book, the food fulfils these expectations. My choice is The Landlord’s burger with red cabbage, pear, gravy, vegan camembert, and lingonberry marmalade. The Nutwave bomber (sundae) with hazelnut-chocolate spread is out of this world. For the best cupcakes in town Oh Em Gee. 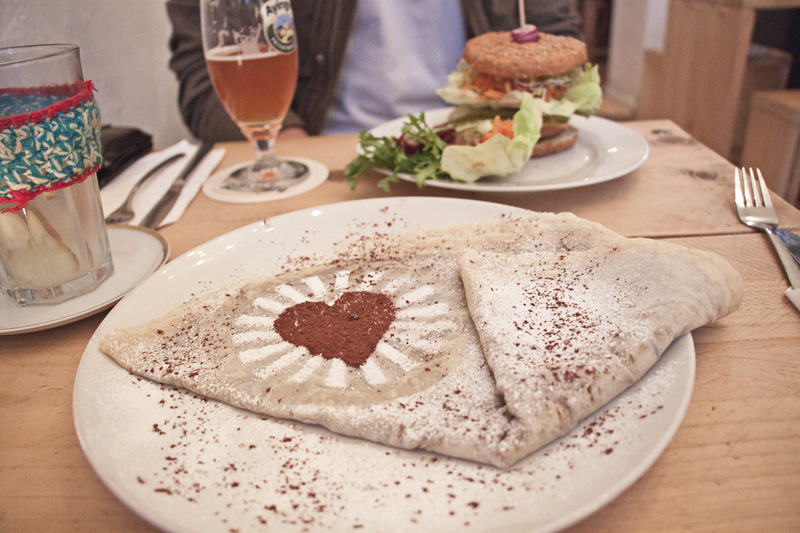 Vux has some pretty incredible food, and Berlin has some pretty incredible vegan cakes. 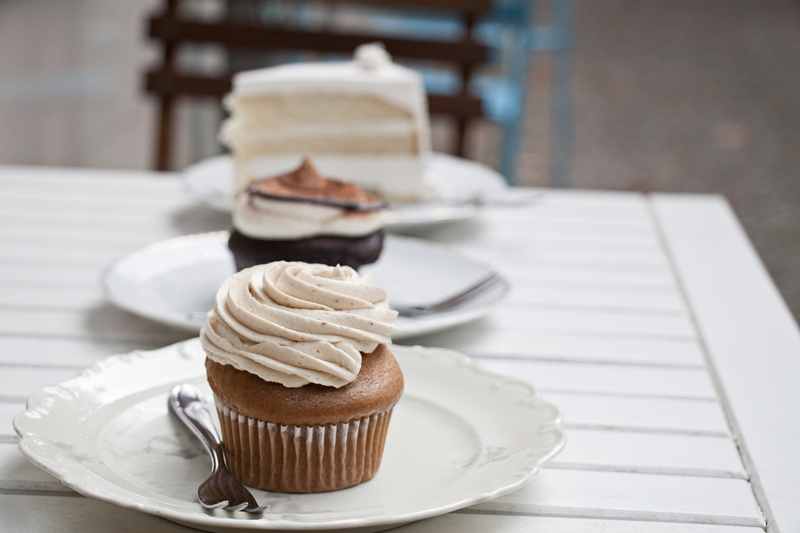 So when I say that Vux has the best cupcakes in town, that should not… repeat, should not be taken lightly. In particular, the peanut butter cupcake. Mmmhhmmmmm. It’s like peanutty heaven in cupcake form. If that’s not up your street, there’s sure to be something else which will suit you – Vux has so much choice for cakes that to say you’re spoiled is a massive understatement. A new kid on the block, La Stella Nera stands out as it’s a co-operative run restaurant. So not only is your food ethical but so is your service. Add to that the wood-fired oven with which they make their pizzas, and the delicious vegan cheese, and it’s somewhere you shouldn’t miss when visiting Berlin. 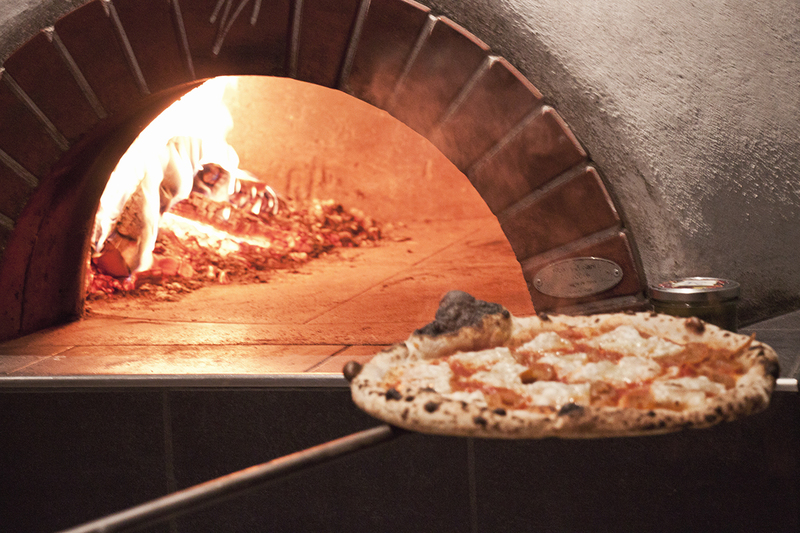 If you like traditional pizza and a good beer, then settle in and enjoy. 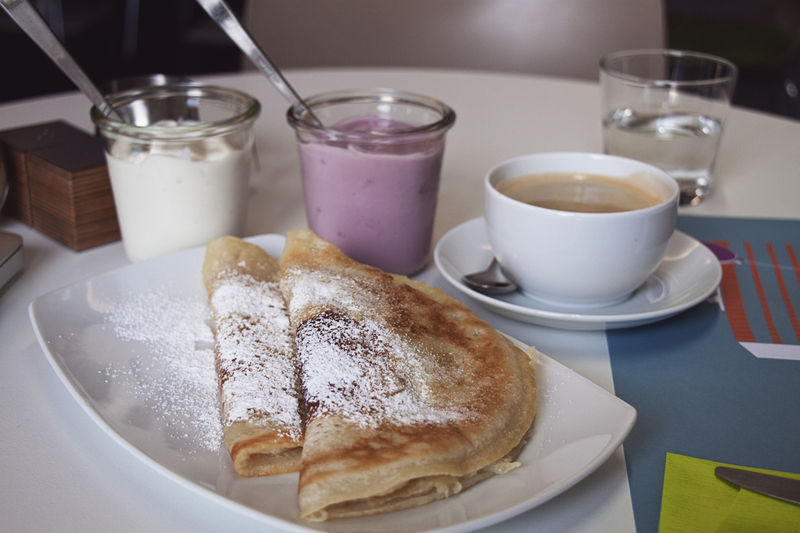 Are you a sweet person or a savoury person with your crepes? Or do you prefer to go both, and have one for dinner and another for dessert? At Let it Be you can go both ways, and one of the coolest things about them is that their menu isn’t written with your typical food names – they pay an homage to all the greatest vegan celebrities. I recommend the Woody Harrellson. I mean the actor, his films are great. But the crepe too. Have you gained weight just through reading this guide? If not, don’t worry. Berlin isn’t all about the cupcakes and burgers (but to be fair, it also is). 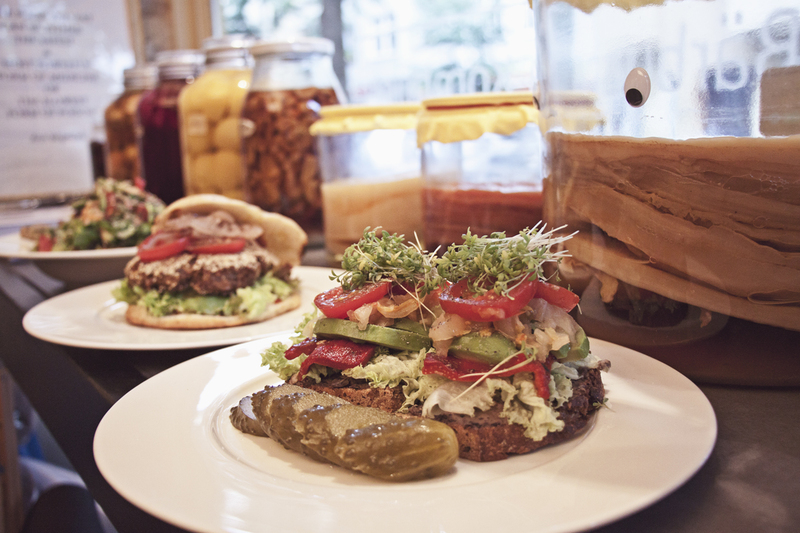 There are some great healthy and raw vegan places in Berlin, and Rawtastic is one of the best. 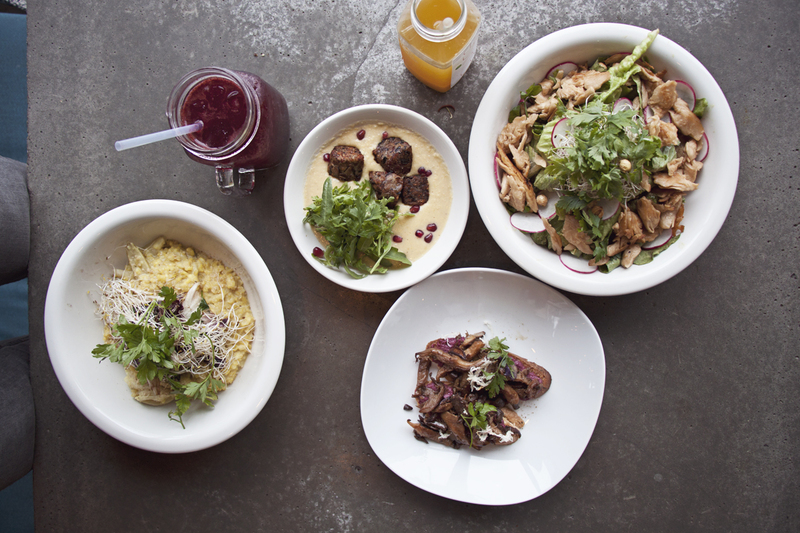 If you’re craving something a little more cleansing, then Rawtastic is where to go. I recommend the ‘Sommer Pizza’, which is delicious and incredibly filling. “Party in the bathroom!” if your first thought was “yes! It’s too long since I’ve heard that!” then Chaostheorie is where you need to be. Seriously though, their bathroom is intense. It’s a mini-rave all on its own. Inside the restaurant itself the atmosphere is a little calmer, but still kind of tacky in a way only Berlin knows how to do, and it’s fantastic. 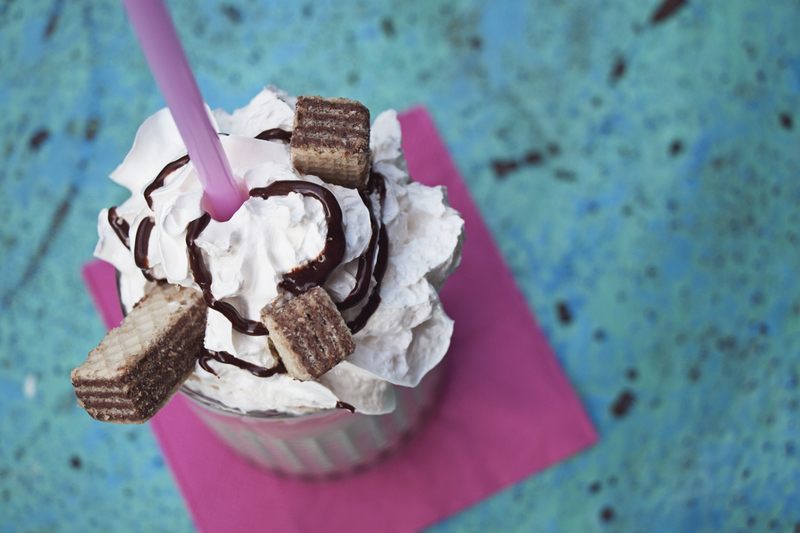 They do amazing milkshakes, delicious desserts, and fabulous fast food type snacks and meals. 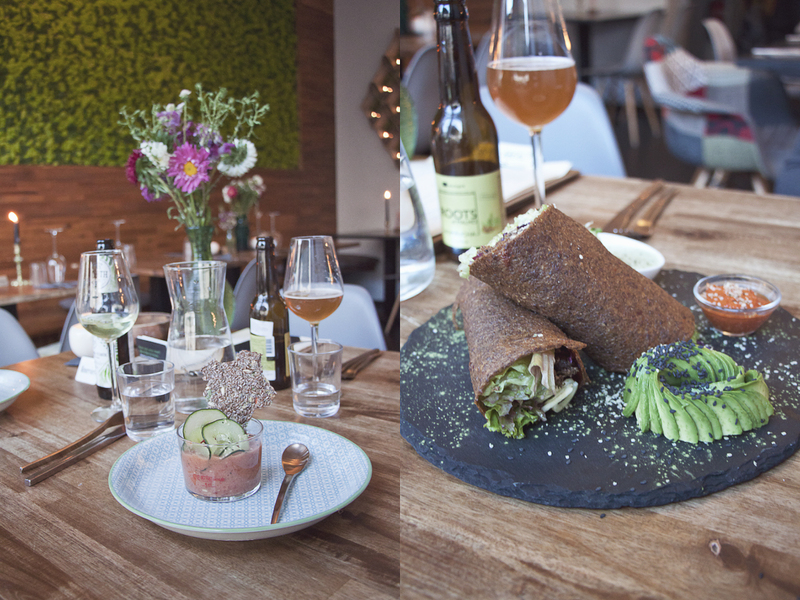 Unlike the majority of vegan places in Berlin they’re hidden up in Prenzlaurberg, not in Neukolln or Kreuzberg, but they’re well worth the trip. Combine it with a visit to Mauerpark and it’s the perfect afternoon. The name says it all. They do hot dogs, and they do soup. Which would you like? Not the typical combination perhaps, but this unusual blend somehow rocks it out of their pocket size shop. Me? I’m a hotdog person. In particular The Brazil one (mix of tomatoes, green peppers, onions, cilantro, and chili sauce). Because chili. And vegan hot dogs. Yum! Again, there’s not much being hidden in the name. If you want something healthier for lunch, the bowl is healthy, macrobiotic bowls of vegan goodness. You can grab a friend, head here for lunch, and consume the deliciousness while enjoying the stylish decor and fantastic surroundings. Vöner, which in case you can’t work it out is the words vegan and doner mushed together, is like the ultimate falafel upgrade. 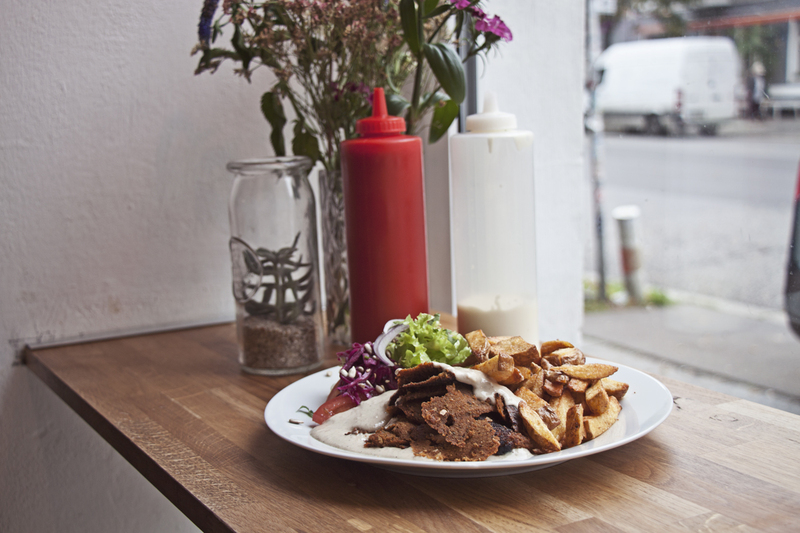 The seitan vegan doner ‘meat’ plus the sauce are so damn perfect that it very quickly gained the reputation of being the best vegan doner kebab in Berlin, a reputation it’s firmly maintained. Don’t expect to eat this neatly. You will get sauce on yourself, your face, your clothes, and possibly the three people who are standing closest to you. And if you don’t, you’re eating it wrong. Because it’s so incredibly worth it. For the best Mexican Food, period. We have Vietnamese food, raw food, desserts, American food… so what’s missing? That’s right, it’s the Mexican food. This isn’t just the best in Berlin, it’s the best… period. They take traditional flavors and give them a modern twist that has to be tasted to be believed. The moment you walk in, you’ll be sold – because the smell in the air is incredible. The roasted aubergine and hibiscus tacos are both vegan and absolutely amazing. Also, yuca fries are delicious and the margaritas are bitching. For all the vegan groceries! It’s hard to find good kombucha in Germany, so I was mega excited when I discovered that there is a kombucha and fermentation cafe in Berlin called Café Bärbucha. A big part of their menu is vegan and contains things like burgers, sandwiches, and salads, all with house-made fermented ingredients, all absolutely freaking delicious. They also have over 15 kombucha flavors to pick from, water kefir and kvass. Schöneberg is suddenly my favorite neighborhood! If you know anything about vegan travel destinations, then you’ll have seen Berlin consistently appearing – and now you understand why. 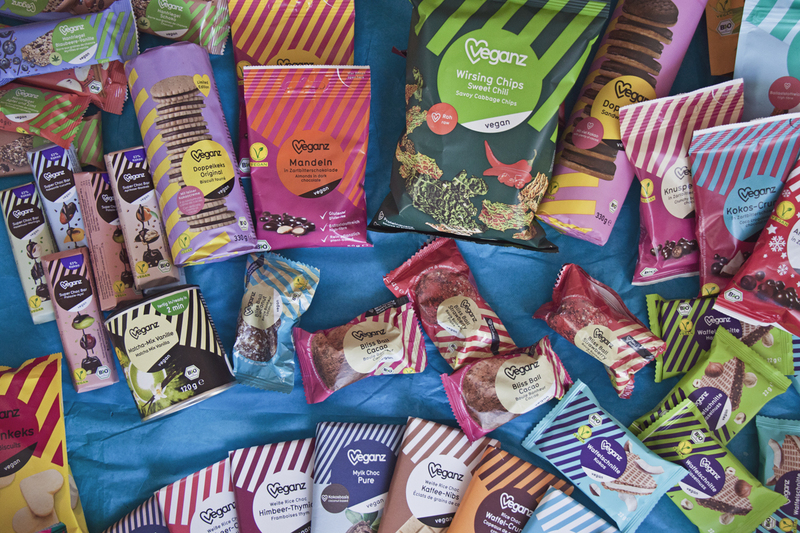 It’s quite simply unrivalled — it even has vegan and vegan-friendly hotels! And if you’re planning your trip to Berlin, you need at least a week or two to get round everywhere – and you’d better practice your competitive eating before you visit. And a cozy place to roll to at the end of the day. Here are my picks. 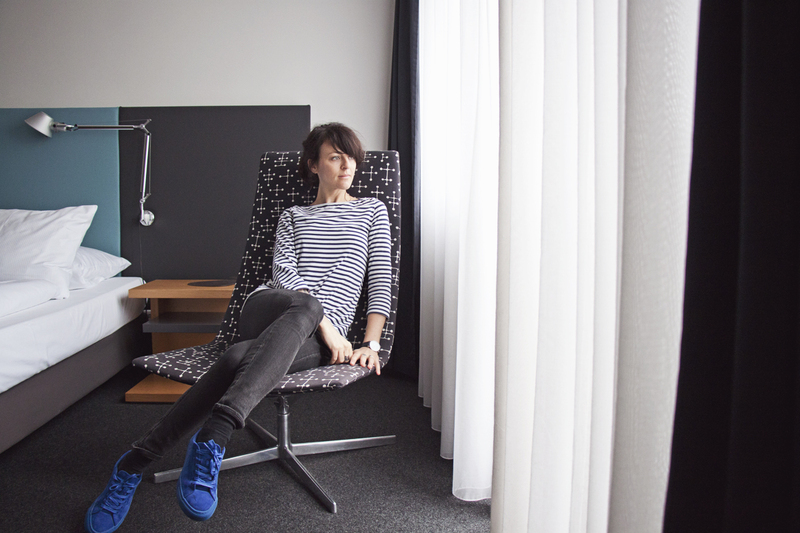 Nested in the heart of vibrant Friedrichshain is the wonderful oasis that is Almodóvar Hotel. Such a special place! If you are bored of cookie-cutter hotels, then Almodóvar is definitely the place to be! 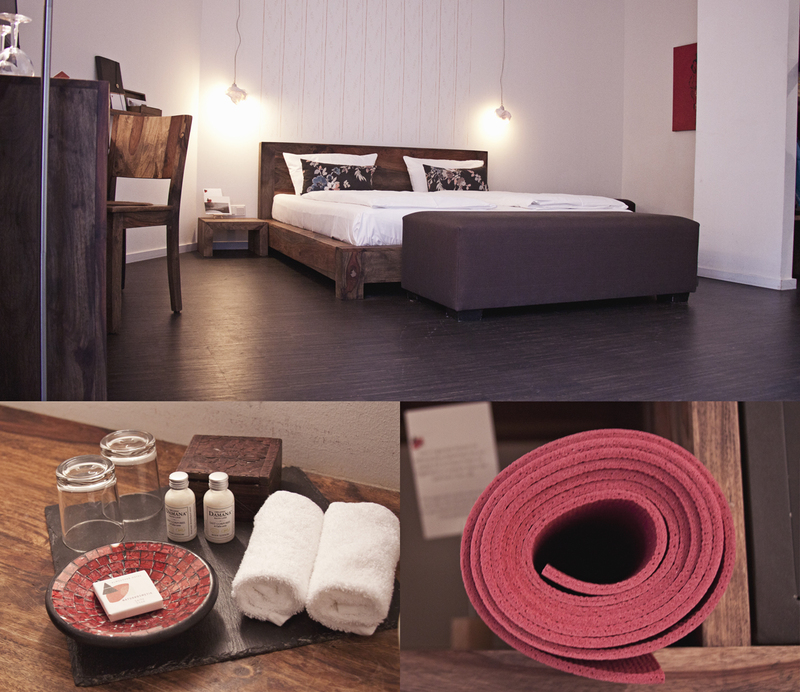 The decor is cozy and warm with beautiful chunky wood furniture and nothing at all is sourced from animals. The rooms are huge and the bed in comfy with nice little touches such as a provided yoga mat, which made it extra special for me. 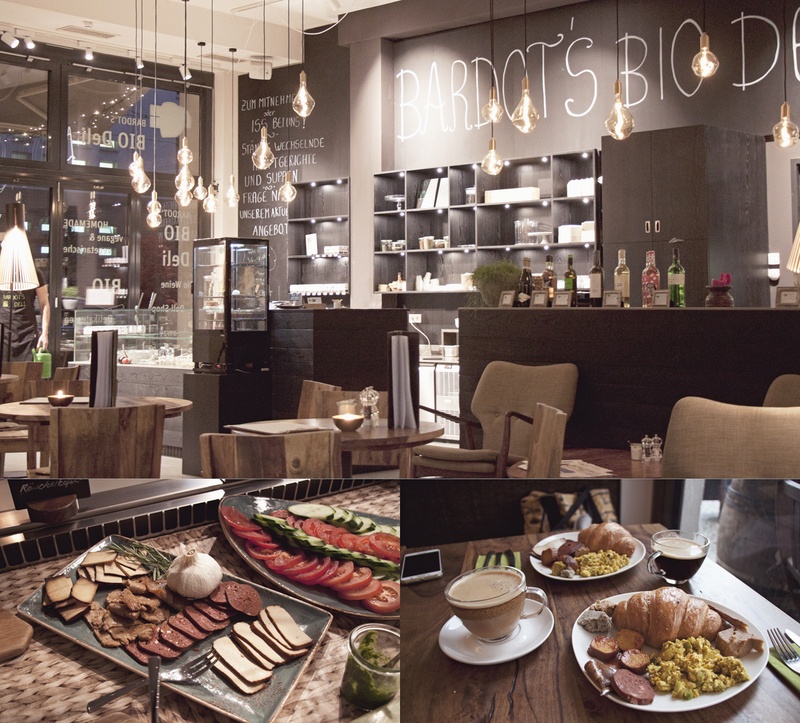 The breakfast buffet at Bardot Bistro is absolutely delicious and in large part vegan and the wonderfully peaceful spa on the top floor is the perfect place to end a busy day exploring the city. A truly special place! 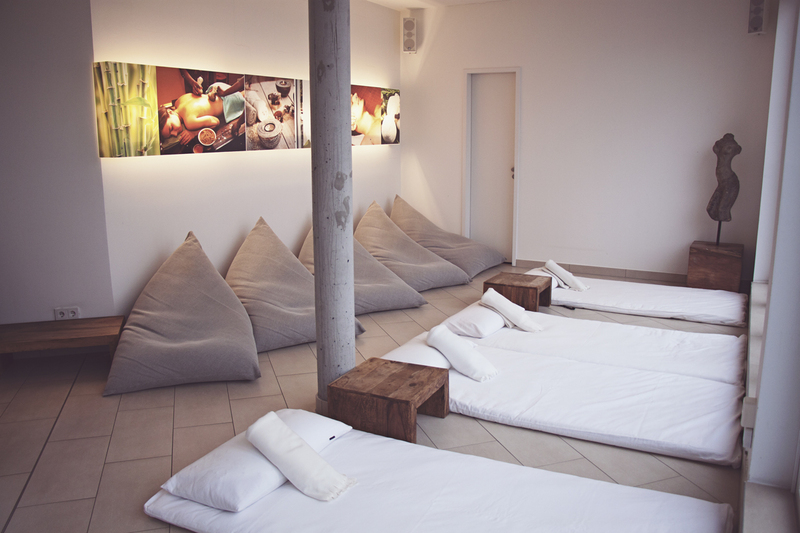 Hotel Otto is located in the peaceful neighborhood of Charlottenburg, remote enough to catch your break and unwind, yet just a short train ride away from the center of things. Otto really shines in the quality of its service, priding themselves to cater to special needs or any dietary requirement. And boy did they deliver! We were served amazingly fluffy vegan pancakes each morning alongside vegan yogurt and I’m pretty they would have obliged to any of our special requests. The rooms are modern, bright and airy, with super fluffy beddings and nice lounging areas. There are quite a few vegan restaurants just around the corner too. So cool that Berlin has a vegan food scene. Not surprised as they are in the forefront of everything cool! My friend is vegan and travels often to Germany so I will make sure to pass this on to her. Oh yeah! It’s the most vegan-friendly destination I’ve ever been to! Really good article! Now I wish I was going to Berlin. But I will share with Berlin ppl tho! I never thought of trying vegan food in Berlin, even if I do love some vegan now and then, but then again I didn’t know where to look for it! Attila Hildman sounds like an interesting place, I’d love to try the soft serve sundae, it looks delicious! My husband is vegetarian so it’s always a challenge to find good food for both of us. 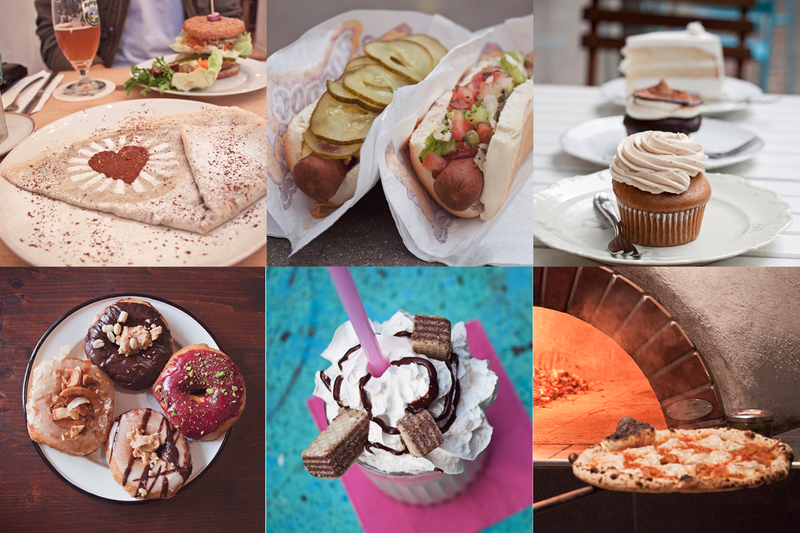 These restaurants look amazing, and I can’t believe those donuts are vegan! I know right! They are soooo yummy! What a selection! I didn’t know Berlin was so on top with Vegan restaurants. I am not a vegan, but I like vegan food and I have vegan friends. It is hard finding restaurants with vegan options in so many cities. Rawtastic, Hotdog Soup and Vux look yummy! Oh ya, Berlin is amazing for that! Those crepes looks beautiful! I think I would have a hard time eating them because I would feel like I was ruining a piece of artwork! Still, looks like a great place to eat! I’m incredibly impressed by the amount of amazing-looking vegan options there are in Berlin. There are things I didn’t even know were vegan-options! I’m also impressed that even your hotel had a decent amount of vegan breakfast options. I’m glad that destinations are becoming more and more veg/vegan friendly. This post is an answer to all those people who say that vegans have a tough time travelling in Europe. This summer we were in Europe but could not spend time in Berlin. 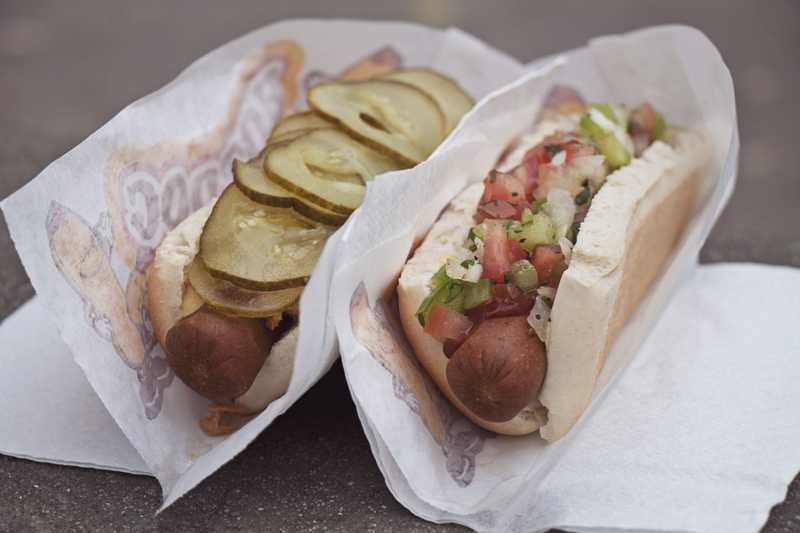 The vegan hot dog is an unusual name but looks delicious. and of course my all time favorite is veg-pizza. thew serve extremely delicious food fusion african – italian . Oh yes, I know Attaya, they are great! Thanks! In Prenzlauerberg, their food it’s authentic and really delicious. It looks like both Chaostheorie and Rawtastic are now closed as well. I wonder why so many places are closing? How unfortunate! My favorites are AtayaCaffe and Vallarades both Amazing and authentic ! 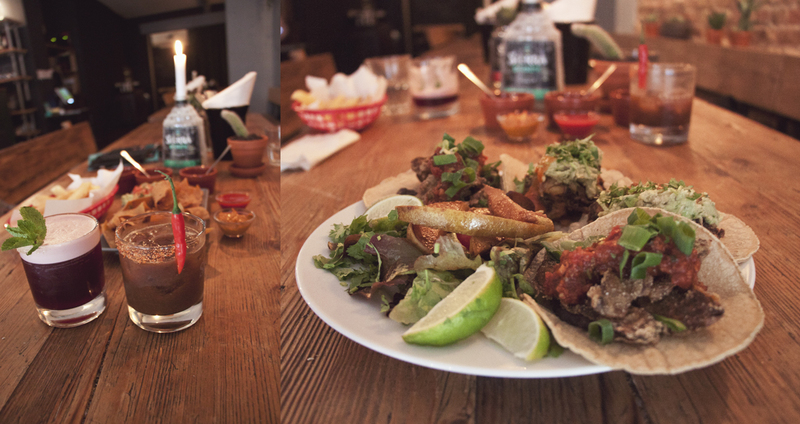 Burrito Baby is 100% the best vegan /vegetarian mexican place in berlin. incredible burritos! !